At the tender age of 5 years old he made it clear that he wanted to become a sailor. Born on May 14, 1869 in Bolton, Arthur Henry Rostron kept that mind set. His family discouraged him from the idea, but “it never had the slightest effect, unless it was to increase my determination”. Their discouragement was well founded. A life at sea then was aboard ‘coffin ships’. It was a hard and dangerous career, not uncommon to lose your life at sea. Still this is what Rostron wanted and at age 13 he joined the Conway, a naval training vessel, on which he served two years aboard. In 1887 he went on to become an apprentice aboard the Cedric the Saxon of Williamson, Milligan & Co. Once at Lat. 40° S he and the crew endured monstrous storms. It was definitely an experience, salt water boils and all. Six or eight hours on a foreyard trying to furl the foresail, the canvas soaked with rain and sea spray, hard as sheet iron, until the fingernails were torn, leaving raw bleeding wounds, drenched to the skin, oilskins blown to ribbons and sea boots full of water. It was also aboard this ship that a shipmate was washed overboard. Tragically, he was lost. The food wasn’t the grandest fare. Salt pork was relished by Rostron. They would haul buckets of salt water on board and soak the pork in it. Sea water makes them fresher and more palatable. Rostron climbed the ranks, eventually becoming first mate aboard the barque Camphill. It was there he ran into trouble with a rebellious crew. The captain was rarely present, preferring to lock himself away in his cabin. Left to take command of the ship was Rostron and a young second mate. The crew pledged that they would ‘knife’ Rostron before they reached their destination, Valparaiso. Rostron was forced to arm himself with a revolver, even to the point of sleeping with it under his pillow. Nothing came of the threats, although it was no doubt a tense voyage. In Valparaiso the crew was replaced by another. Still they had their ‘efficient’ captain who liked to stay in his cabin. While leaving Valparaiso, a ‘guest’ nearly ran the ship aground. Rostron interfered, saving the vessel. But this man became angry and reported the insolent Rostron to the captain. While preparing to hold an inquiry, Rostron threatened that he would expose the doings and name all of those who were involved, including the ships they belonged to. You see, these guests were all captains who had been invited to a sort of a ‘farewell party’. The guest who had nearly grounded the Camphill was also a captain. So, no doubt, considering their careers and reputations they decided not to ‘try’ Rostron after all. Rostron’s first steamer was the River Avon. Personally he didn’t care much for steamers, vowing never to “go into steam”. Steamers were not a ‘real sailor’s’ choice. The Great Easterner had been ungainly and so ugly. Still it was amazing how they were able to plow through tough weather. Speed, then, was top priority with steamers, even if it caused considerable damage. Never mind the expenses, speed was king. 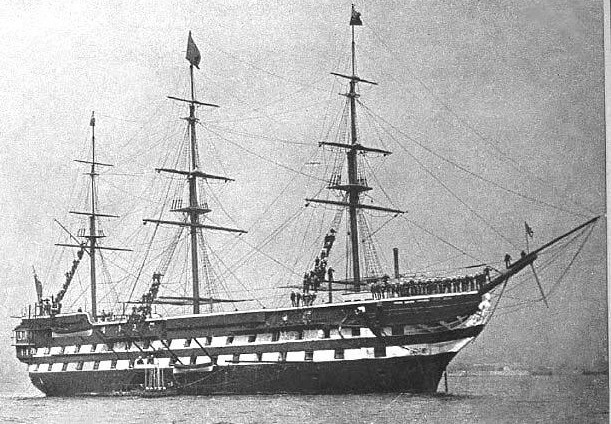 His first position with the Cunard Line was the Umbria. It was then he had a bit of a run-in with the Chief Officer. Unable to find the tender that was to take him to the Umbria he “hired a waterman’s boat”. This clearly upset the Chief Officer since Rostron’s undertaking were clearly not something a ‘Cunarder’ would resort to. It took a few minutes and a disarming smile or two to smooth the old gentleman’s ruffled feelings…from that moment I was able to call myself a Cunarder. After five voyages Roston left for sail upon learning that he was “not eligible for promotion”. After a voyage on the Cedric the Saxon he returned to Cunard, joining the Aurania as third officer. There is also a curious thing that happened while aboard the Campania. It was there that he sighted a ‘sea monster’. He had told a junior officer to “keep clear of that snag right ahead”. But as the sailed closer they seen it was a sea monster. Not having camera, which he highly regretted, he began making sketches. When the captain came up on the bridge and asked if he had seen anything Rostron said he had seen a “sea serpent”. Captain: What did you drink for dinner? Rostron: Not had my dinner yet, sir. Captain: Then what did you take in your cabin after I left the bridge? Rostron: Haven’t left the bridge since you saw me, sir. He then showed the captain his sketches. Not long afterwards, Rostron read an account of a monster, much like the one he and the junior officer sighted. The monster had attacked a man out fishing. The man lost his oars and boat hook. He had been “picked up in a boat and in a very exhausted condition, drifting out of control”. He served as Chief Officer aboard the Lusitania, but was given his own command the day before Lusitania‘s maiden voyage. His new command was the Brescia, a much smaller vessel. It would not be an uneventful voyage though. In Swansea, the Brescia lost her bilge keel, unbeknownst to Rostron. When questioned back in Liverpool he told them it was not his. But it happened that while in dry dock it was found that Brescia was indeed missing it. Some though he had lied, but he really hadn’t known. He was able to successfully clear himself. who the dickens is this cheeky beggar coming into my cabin without knocking? It was the 1st Officer [Note: Some sources state this was Wireless Operator Harold Cottam, while others say it was both the 1st Officer and Cottam] come to tell Rostron that the RMS Titanic was in distress. 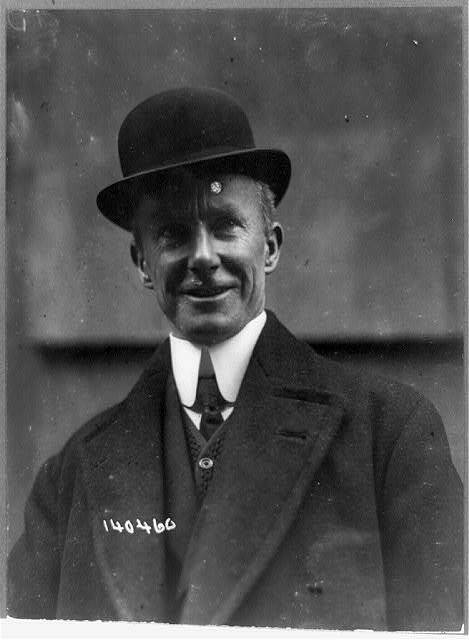 After further questioning the Wireless Operator Harold Thomas Cottam, Rostron headed for Titanic‘s position. On board Carpathia, the crew kept quiet as they prepared to receive survivors. Carpathia usually did 14 knots, but that night she reached 17. Sometime around 3 AM, Rostron spotted a green flare. He mistakenly believed that Titanic was still afloat. This was actually Titanic‘s 4th Officer Joseph Boxhall in Boat No. 2, as he would soon find out. Rostron began sending up flares every quarter of an hour. While preparing to take the boat on the port side an iceberg loomed before them. Also complicating matters was the survivors had “only one seamen in the boat and cannot work very well”. Rostron had to do some maneuvering to take the boat on, but they did. When the day dawned lifeboats could be seen about. Also a scary sight was the many icebergs. Seeing his friend Louis Ogden, Rostron asked him about his new camera. Soon Ogden was back and snapping pictures of the lifeboats and survivors. The survivors were deathly quiet and in shock as the came aboard. Officers, including Rostron, gave up their quarters for the survivors. Women passengers shared their rooms with women survivors. Carpathia passengers gave many of their clothes away and made others from things they could find (e.g. blankets). Rostron held a memorial service for those over 1,500 who were lost. 706 survivors had been taken on. 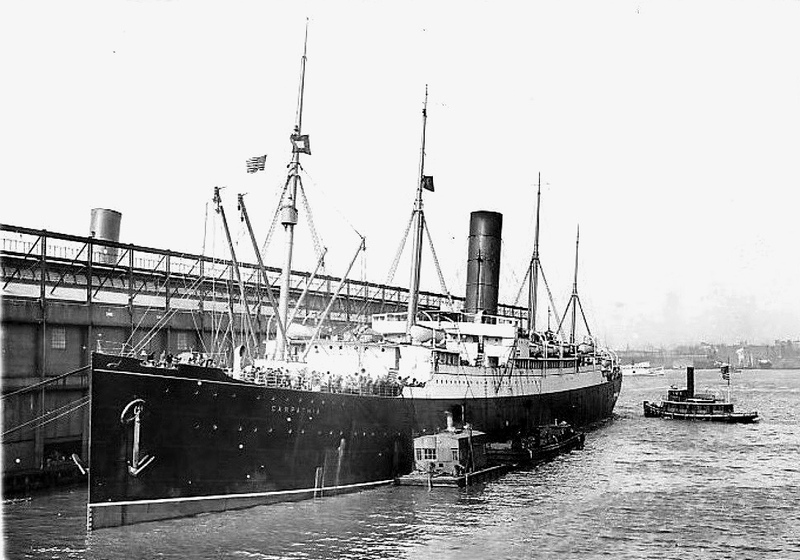 Also four people were buried at sea, three having died in the boats, and another soul on board.The Carpathia began her journey back to New York, leaving the Californian to carry out the futile search. Surprisingly, there wasn’t much wreckage to be seen. The ice field that Rostron had come upon proved to be expansive. For nearly four hours we sailed round this pack – quite 56 miles. In New York, Rostron refused to let the hungry press interview the bereaved. Two reporters contrived to get aboard by means of the pilot, a friend of Rostron’s. What followed was amusing. Pilot: Can the fellows come aboard? Rostron: I can’t hear what you say. Pilot: They want to come aboard. They have friends on the ship. To keep them from boarding, as the pilot climbed the ladder, sailors hauled up each rung with each step the pilot made. Thus, foiling the plan. One reporter did get aboard, but he was kept on the bridge. If he left the bridge there would be “certain penalties”. Carpathia also dropped Titanic‘s boats at Titanic‘s pier. On March 2, 1913, Rostron received the Congressional Medal of Honor compliments of Congress. This was just one of Rostron’s many medals and awards. From survivors he received a gold medal and a ‘Loving Cup’. But in six years the Carpathia would be lying at the bottom of the ocean, a victim of World War I. Many ships Rostron had served on were sunk not long after his leaving the vessel. He attributed his safety to God. On one occasion a ship ahead of him and another behind him were torpedoed. During WWI, Rostron led a rather eventful life. Off the coast of Newfoundland, a German cruiser appeared ahead. The OOW had turned the ship away from the cruiser, but Rostron turned the ship back towards the cruiser. To confuse the enemy, he had alerted one of their own cruisers of his course. The German ship intercepted this message and repeated it to another ship. Then Rostron began altering his course. Because of this plan he was able to get away. It irritated Rostron how lightly the Merchant Navy was taken. A merchant vessel, the Caledonian, was torpedoed. A colonel shrugged off the incident. Colonel: Only a merchant ship…That doesn’t matter. Rostron: What do you mean? Doesn’t matter? Rostron: Who brought you here? Who brought those men fighting on the peninsula? Who carried their supplies, fed them on the route out? What would you do with your wounded if there were no merchant ships? Drown ’em? Rostron went on to command the Mauretania as a hospital ship, and in 1918 as an auxiliary cruiser. In 1926 he received news of his knighthood aboard the Mauretania. The wireless operator wanted to show him the ship’s newspaper. In the chartroom he began reading. But not the part the operator wanted him to see. The operator pointed out the part that read, “Liner Captain Honored”. He was to be knighted. Rostron had been sent notification of this by mail. But he had left Liverpool the same day the letter arrived and so the news came as quite a surprise. Two years later he was commodore of the Cunard Line. In 1931 he retired, leaving the sea. Nine years after retirement he died of pneumonia. He is buried in Southampton. Looks like an excellent read. I’ll have to put it on my list. Personally, I think I would have stuck with sailing the Cedric the Saxon. What a great name for a ship. If memory serves me correctly, Cedric the Saxon sunk right after Rostron left it. It was carrying some dangerous cargo and they never found the ship. The captain Rostron had served with on his last voyage with the Cedric, died with it. The book is to the point, in my opinion. I love how both passengers and crew on board the Carpathia helped out the Titanic survivors in whatever way they could. What a life Rostron had. I will definitely be looking for this book. It’s definitely a fascinating read. Yes the crew of the Carpathia responded well to the tragedy, and deserved great thanks. Thanks for your comment. Rostron is one of my heroes! I must read this! His autobiography is very interesting, and reprinted just in time. Rostron’s story can be at times very humorous, such as the time when he sighted the sea monster. I highly recommend his book. Thanks for your comment. I was married to his nephew, William James Rostron, who retired from the USNavy as a supply officer, served on many merchant ships, and loved the sea! Very interesting, thanks for sharing. I’ve done a little work in regards to Rostron’s family history, but unfortunately came to a stand still late last year. I hope to get into again next month! Finally, a happy story involving the Lusitania and Titanic! In all seriousness, this blog is excellent J.G. You really do a lot of research when you write these, and we are all benefiting from it. Thank you! Thanks very much, glad you think so! I honestly never dreamed this blog would take off the way it did. Happy to have you aboard here, Dave. I’ve enjoyed all of your feedback! My great grandfathers brother was 19 years old on the Cedric voyage from Hull to San Francisco but my ancestor jumped ship in that port. My ancestor came from a wealthy family but his father and grandfather had been Captains on Guernsey ships so he went to see. By jumping ship as I have his last letter home, he obviously went up country to look for gold, also wasn’t Captain Harris of the cedric a bully? My ancestor never returned to Guernsey I can only assume something untoward happened to him but the winter was harsh in 1887 in the Sierras gold country. Rostron and the Cedric sailed on to Queenstown but Rostron was the same age he would have felt for my ancestor. My ancestor Abrahams letter explains how the lad gets washed overboard and how the same lad has lost his father in the same way and how his mother would be a widow. God I feel for a 19 year old boy witnessing that storm and that loss of life. This is very interesting, thanks so much for sharing! Lucky your ancestor didn’t stick with the Cedric so long, as it was lost right after Rostron left. I am guessing it is very possible your relative and Rostron knew one another? Your story reminds me a lot of Titanic’s Second Officer Charles Lightoller. He left the sea (albeit for a brief period) to go digging for gold in the Klondike. He never made it and was forced to return to the sea. The cold and almost impossible conditions contributed to his decision to give up the thoughts of gold.As for this Captain Harris, I am afraid I don’t anything about him. Thanks again for sharing your story, I find it fascinating. Additionally I purchased Home From The Sea it cost me 250.00, as I was desperate to read about Cedric The Saxons journey. Can anyone tell me if that photo is athe a cedric and what crew that is for which journey???? I had heard that this book was expensive prior to its recent republishing. The first photo in this post (of the ship) is of the HMS Conway, the ship Rostron trained on. A few other notable ‘students’ of the Conway were James Moody of the RMS Titanic, and Roy Widdicombe of the SS Anglo-Saxon.